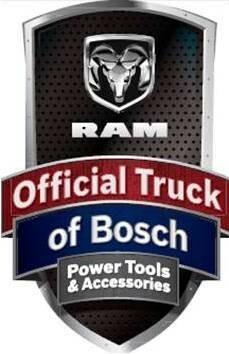 To kick off the partnership Bosch Tools is hosting a contest where one person will win a Ram truck of their choice valued up to $50,000. The sweepstakes starts now and will run through February 28, 2013. What, no tools to go with the truck? In the long run we should be seeing some joint-advertising by the companies, as well as co-branded events. The first bit of joint-branding can be found on the website referenced in the "Farmer" commercial that aired during The Big Game. I would also suspect that they will work out some type of tool system that can be used to organized tools inside of Ram Trucks. And on the eighth day, God looked down on his planned paradise and said, "I need a caretaker." So God made a farmer. God said, "I need somebody willing to get up before dawn, milk cows, work all day in the field, milk cows again, eat supper, then go to town and stay past midnight at a meeting of the school board." So God made a farmer. God said, "I need somebody willing to sit up all night with a newborn colt and watch it die, then dry his eyes and say,'Maybe next year,' I need somebody who can shape an ax handle from an ash tree, shoe a horse with hunk of car tire, who can make a harness out hay wire, feed sacks and shoe scraps. Who, during planting time and harvest season will finish his 40-hour week by Tuesday noon and then, paining from tractor back, put in another 72 hours." So God made the farmer. God said, "I need somebody strong enough to clear trees and heave bales, yet gentle enough to yean lambs and wean pigs and tend the pink-comb pullets, who will stop his mower for an hour to splint the leg of a meadowlark." It had to be somebody who'd plow deep and straight and not cut corners. Somebody to seed, weed, feed, breed, and brake, and disk, and plow, and plant, and tie the fleece and strain the milk, . Somebody who'd bale a family together with the soft, strong bonds of sharing, who would laugh, and then sigh and then reply with smiling eyes when his son says that he wants to spend his life doing what Dad does. 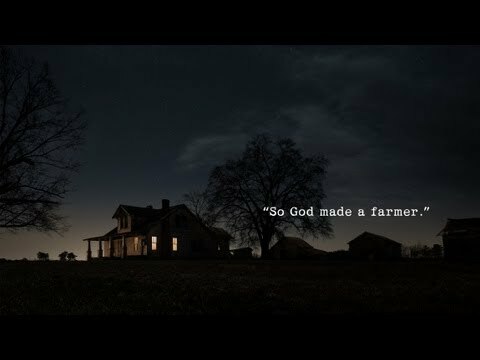 "So God made a farmer."